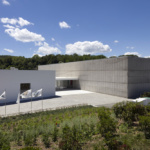 Magazzino, which means “warehouse” in Italian, is comprised of an old farmers’ warehouse and a new building by Spanish architect Miguel Quismondo. 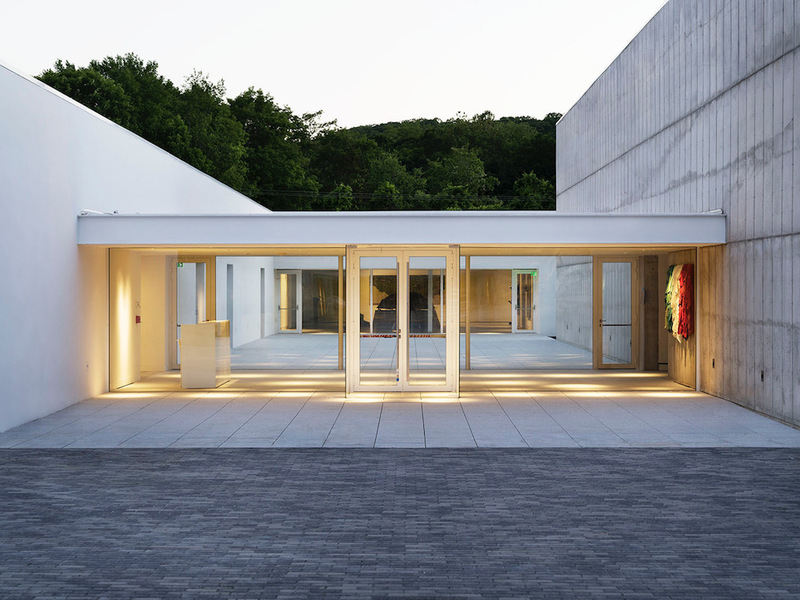 Magazzino, a postwar and contemporary Italian art museum, opens June 28, joining the ranks of MASS MoCA, Storm King Art Center, and Dia:Beacon in the Hudson River Valley. 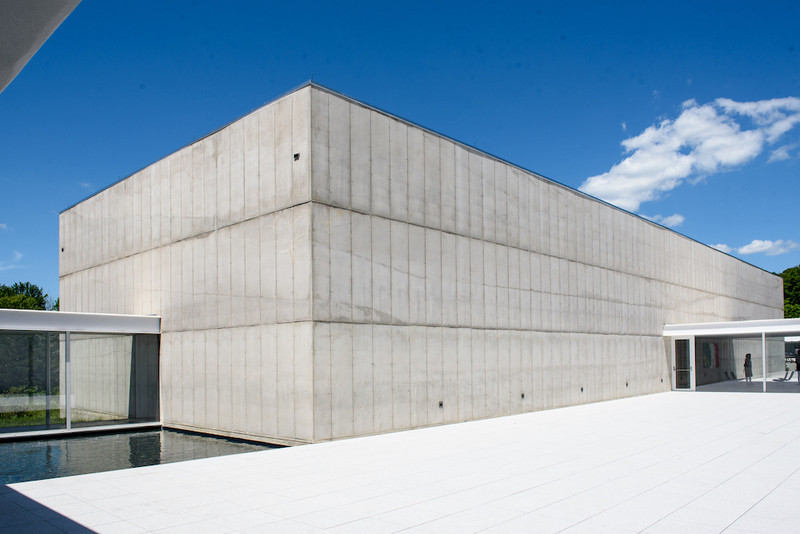 The museum will house works collected by Giorgio Spanu and Nancy Olnick, who own one of the largest collections of postwar and contemporary Italian art in the U.S. and have been collecting these works since the 1990s. 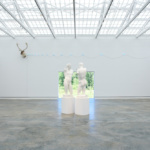 Featured artists include Giovanni Anselmo, Alighiero Boetti, Pier Paolo Calzolari, Luciano Fabro, Jannis Kounellis, Mario Merz, Giulio Paolini, Giuseppe Penone, Michelangelo Pistoletto, and Gilberto Zorio. 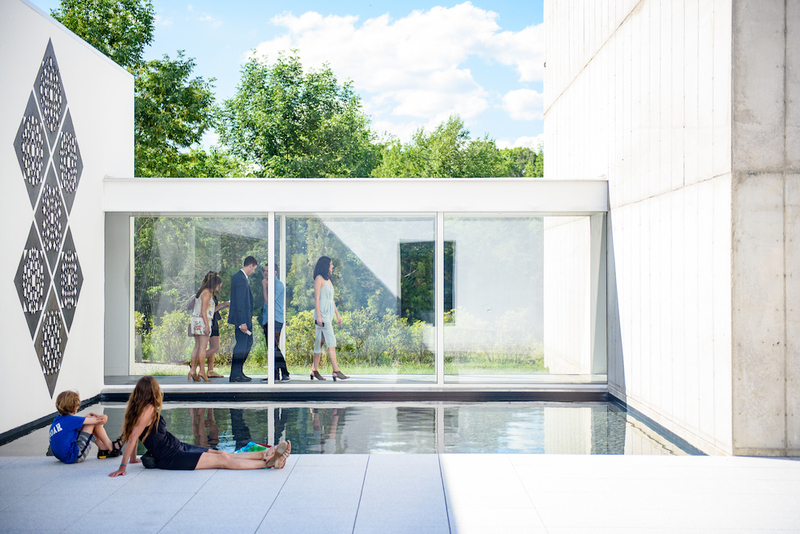 The museum itself was 10 years in the making and will feature over 400 artworks from the Olnick Spanu Collection and 5,000 books on Italian art. 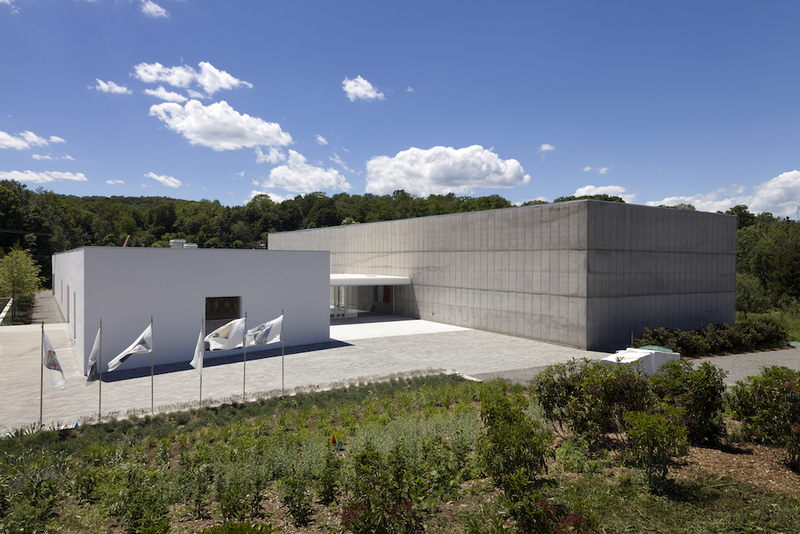 Magazzino, which means “warehouse” in Italian, is comprised of an old farmers’ warehouse (later turned into a dairy distribution center and then a computer factory) and a new building by Spanish architect Miguel Quismondo. “We said, the new space had one protagonist: The art. 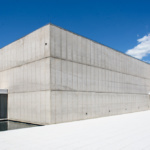 [The building] had to be a container that could explain its content,” Spanu said. 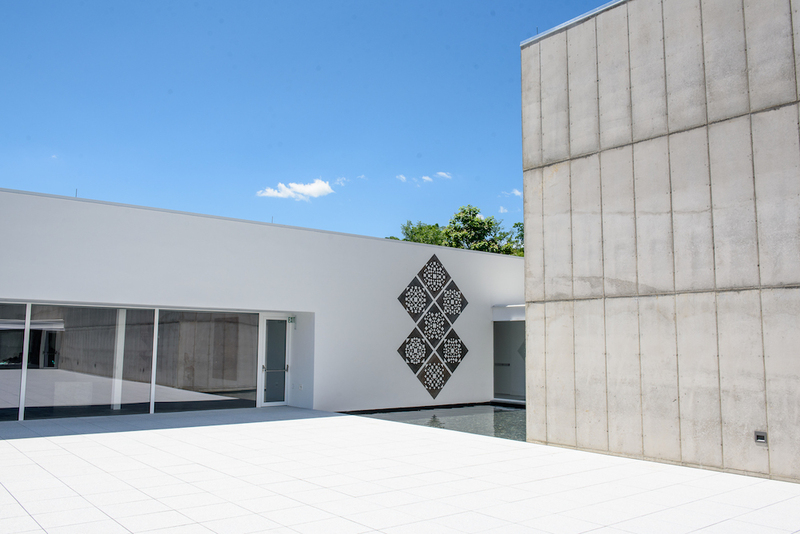 The architect mirrored the existing L-shape configuration to create a rectangle with a courtyard in the center, allowing copious light to infiltrate the 20,000-square-foot structure. “The container had to be as discrete and humble and mute as possible, but I still played with the dialogue between the existing 1964 structure and the new 2017 structure. The light works in different ways throughout,” Quismondo explained. Open glass hallways connecting the buildings as well as varied ceiling heights offer visitors moments of compression and expansion. 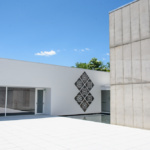 The older works, an homage to Italian curator, collector, and gallery owner Margherita Stein in the inaugural exhibition Margherita Stein: Rebel With a Cause are displayed within the smaller of the two buildings, with lower ceilings and an open layout. 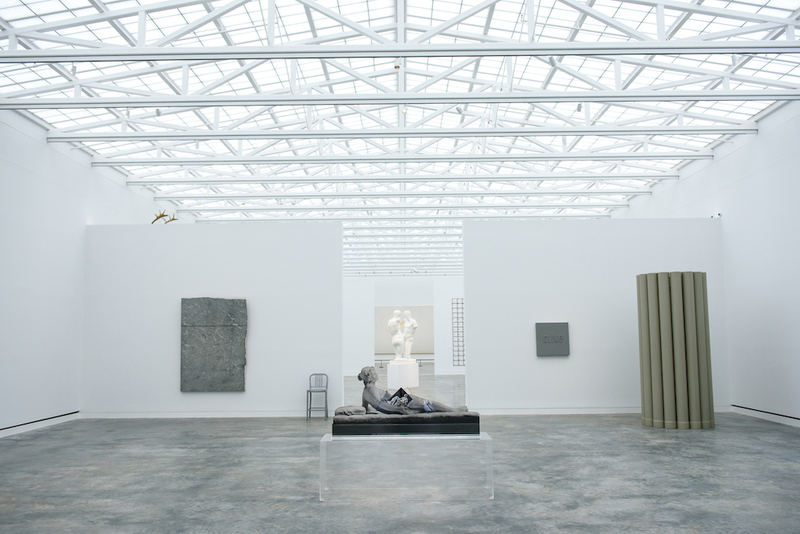 The newer works, from the late ‘80s onward, are presented in a much larger room with a central axis running through it. 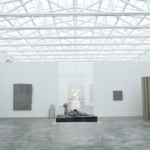 Translucent fiberglass ceiling tiles offer diffused, equal lighting that is akin to the now-famous illumination at the Whitney. 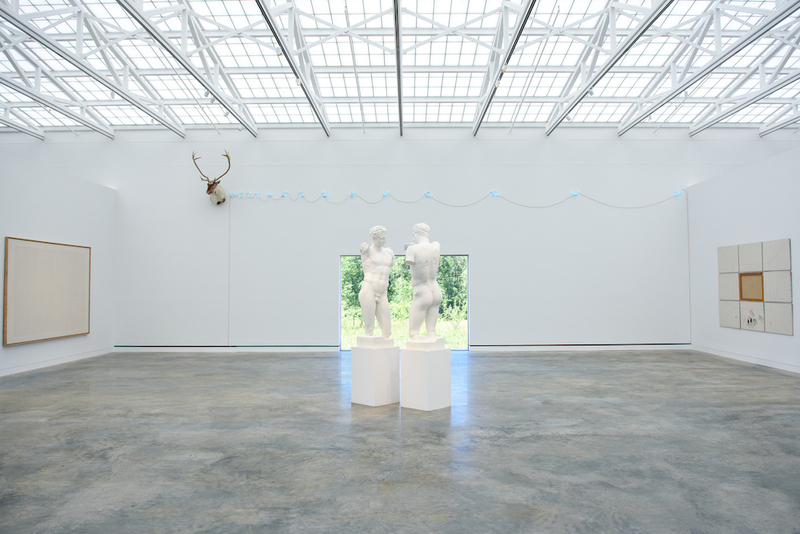 Magazzino (2700 Route 9, Cold Spring, NY, 10516) is free to the public by appointment.